A Lunch out at Barcelos ; the house of Peri Peri and my take on Flame Grilled Portuguese delicacies! A Non-Delhihite's favorite Street Food Joints in Purani Delhi! Aamchi Mumbai Local in Kolkata; the vegetarian food joint! Authentic Green Thai Chicken Curry recipe I took back home; The Cook-off at Baan Thai, The Oberoi Grand Kolkata! Beyond Bao! What to try at The Fatty Bao Kolkata? Bloggers table at Social Kitchen - Holiday Inn Kolkata and me back to the game again! Bodega Cantina Y Bar, new “molecular” destination of Kolkata! Boho Hours at Bohemian, the fusion and beyond! Bohri Dawat by ITC Sonar, Kolkata! Chili’s Grill & Bar at Acropolis Mall and I am not Bumba-da; I am not Industry! Deli Pastry Shop - The Gateway Hotel Kolkata & my picks! Ego the retro lounge bar at The Peerless Inn Kolkata relaunched! Jai Kali Kalkattewali; there is Paranthe Wali Galli! Kalash- Hotel Hindusthan International; my pick for Restaurant Week India in Kolkata! Kuaizi n Kadai; A Vegetarian destination in Kolkata and a non-vegetarian’s take on vegetarian food! Looking Back: Debjani's 5 star experiences all through 2017! Mach –Bhat and Hotel Sidheswari Ashram; the story and the glory! Madhabi Mukherjee's Ilish Macher Matha diye Badhakopi from Gateway Hotel's Ilish Festival! 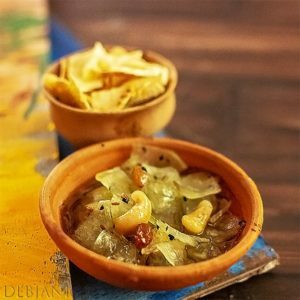 Mohabhoj in Kolkata this Durgapuja: Debjani's Recommendation for 2017! My Big Fat Belly : Juicy Lusy and beyond! New menu launch at Gabbar's Bar and Kitchen ! Filmy che bohut filmy che! Pizza to Nazza at Nawwarah! Pujor Khabar listicle: #DurgaPujo 2018 (with pocket pinch)! Restaurant Week India! Dinner date with the obnoxious man at La Cucina, Hyatt Regency…. Serafina, the Italian joint in Kolkata; its new Avatar and my take! Sharma Tea House; where Tea amalgamated with Kesar and becomes Sharma’s Kesar Chaa! Sunday Onam Brunch at Eden Pavilion, ITC Sonar! The Beefy affair at Beeru's Restaurant, Kolkata and the must-haves! The Coastal Matcha, for the love of Ghee Roast in Kolkata! The Ghoti Woman's take on the Ilish Festival by Taj Bengal, Kolkata! The happy (porky) meal at Trattoria, Shillong, a Khasi joint! Tiretta Chinese Breakfast in Kolkata! Is it only the glorious past? Tung Nam, the gem of Chinese eatery in Kolkata! What to eat; where to eat, the Poila Boishakh Food listicle for 1425 by Debjanir Rannaghar!